A new software has been designed and a four-step process initiated to check the menace of copying in the Uttar Pradesh board exams which are beginning from February 7. 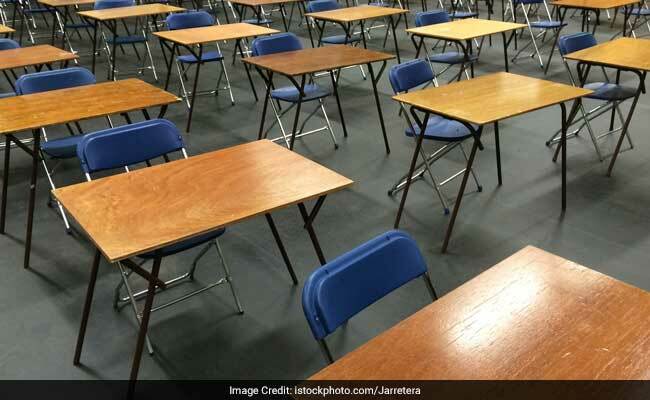 A new software has been designed and a four-step process initiated to check the menace of copying in the Uttar Pradesh board exams which are beginning from February 7, Deputy Chief Minister Dinesh Sharma said. Centres in the state, which reported maximum cases of cheating in the past, will be strictly monitored, he said. "The intention of the UP government is to curtail use of unfair means by students while making efforts to improve quality of education. Owing to efforts of the UP government, use of unfair means has stopped, and the number of students studying in government schools has increased by 18-20 per cent," Sharma, who also holds the portfolio of secondary and higher education, told PTI here in an interview. He said the UP Board exam will begin on February 7, and will be conducted in the next 16 working days. "If the exams are held in a shorter duration, it will also lead to cutting the cost incurred in conducting them" he said. The Adityanath government, he said, has taken a lot of steps to check cheating in exams. "Before the BJP came to power in Uttar Pradesh, the prevailing atmosphere in the state prompted Prime Minister Narendra Modi to say that tenders are floated in UP for copying (UP mein to nakal ke tender hote hai). After the BJP came to power in UP, steps have been taken to curtail the evil practice," the UP deputy Chief Minister said. Sharma said copying was so rampant in the past that students from specific states were kept together at one exam centre. "At these centres, stringent measures were initiated to ensure that use of unfair means dos not take place. Last year, strict vigil was maintained on suspicious centres. "As a result, 67 persons were arrested from a place. A press printing answer sheets was unearthed in Jaunpur, while a gang involved in leakage of question paper was busted in Hardoi. Impersonators were caught in Kaushambi and Aligarh," he said. "There were large-scale irregularities involved in setting up of an examination centre. Now schools desirous of becoming exam centres have to apply online and submit details of facilities. The software will choose the centre while keeping in mind laid down parameters and criteria. "The list will be displayed on the Internet, and officials (district inspector of schools) will check for shortcoming and anomalies. If the DIOS favours any centre, it will be verified at the district level by district administration officials (such as SDM, ADM and DM). The DM's role will be monitored by the government (education department). So there will be no room for error," Sharma said. He said all examination centre must have CCTVs, separate toilets for boys and girls and boundary wall. Static magistrates will be posted at every examination centre. "We have taken help of STF at few places which have earned disrepute," the Deputy Chief Minister said. The UP secondary education minister said last year around 67.22 lakh children registered for the board exams. However, nearly 11 lakh skipped the exams. Those who skipped the exams were mainly were from other states and from countries like Nepal and Bangladesh. "This time, over 58 lakh students registered for the board exam. This time, the number of students from various foreign countries is negligible," he said. "At sensitive exam centres, Aadhaar of students has been linked with registration. However, not every centre across the state has been linked to Aadhaar. A district-wise list of suspicious centres has also been prepared," he said. Elaborating on the steps taken by the Adityanath government in the education sector, he said the government has opened 205 new schools in the last one year, and teachers have been appointed. Of these 205 new secondary schools, as many as 166 are model schools, he said. Sharma said from the next academic year, one adarsh vidyalaya (model school) will be opened in every division of the state.